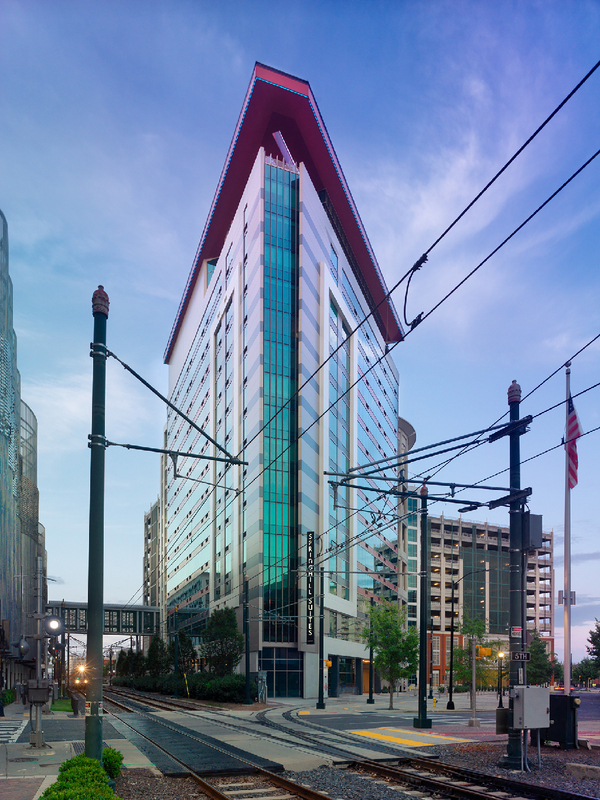 Enclosed by a parking garage, light rail and tram, this project exceeded expectations as we made the most of its small space. 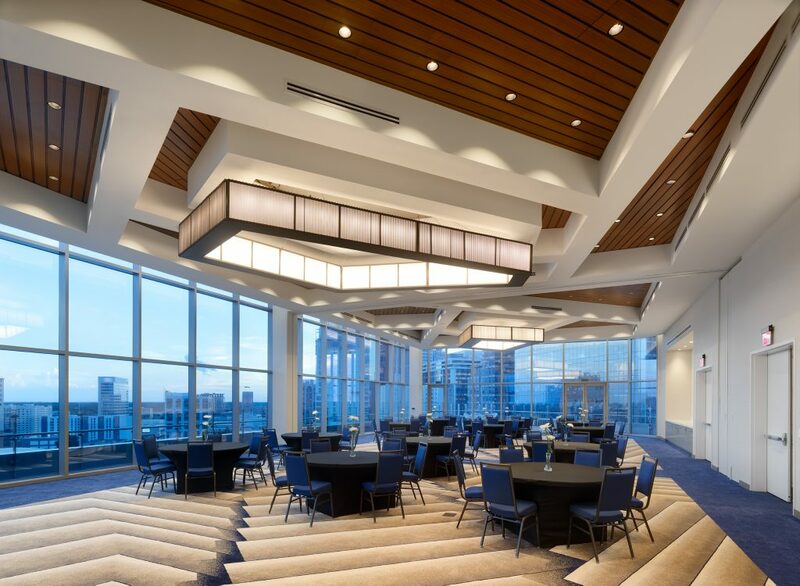 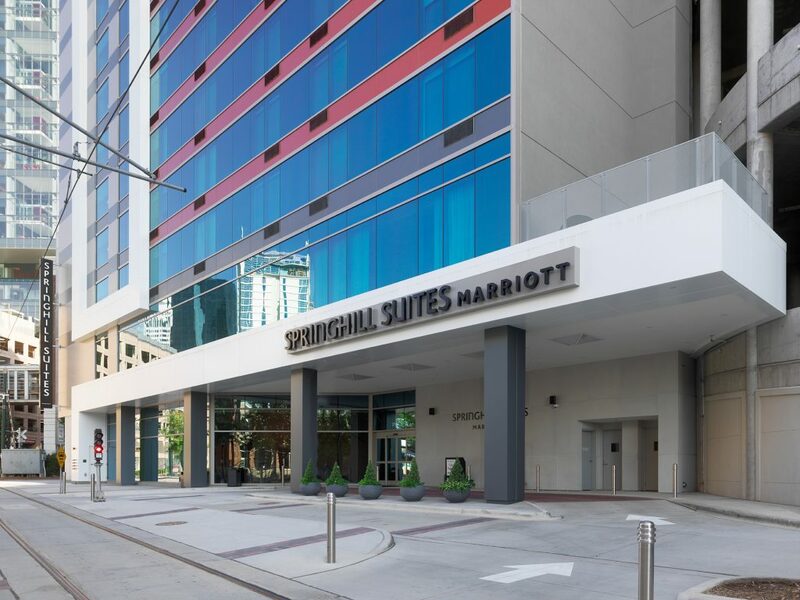 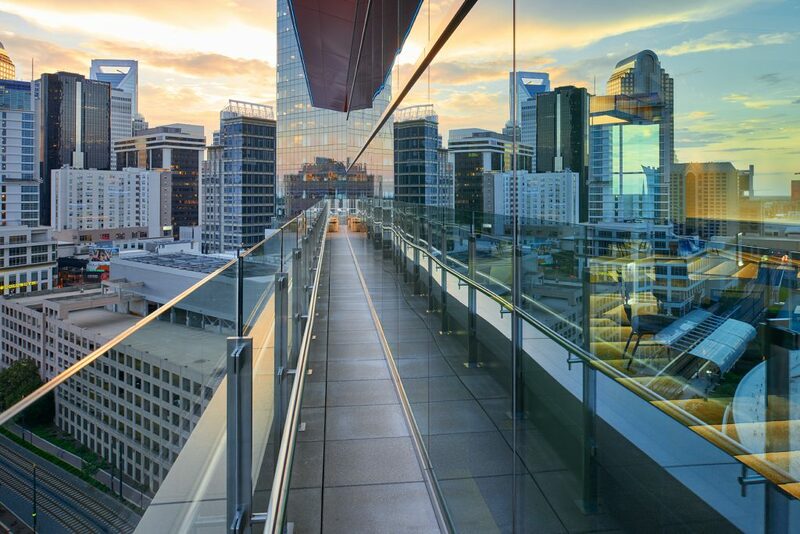 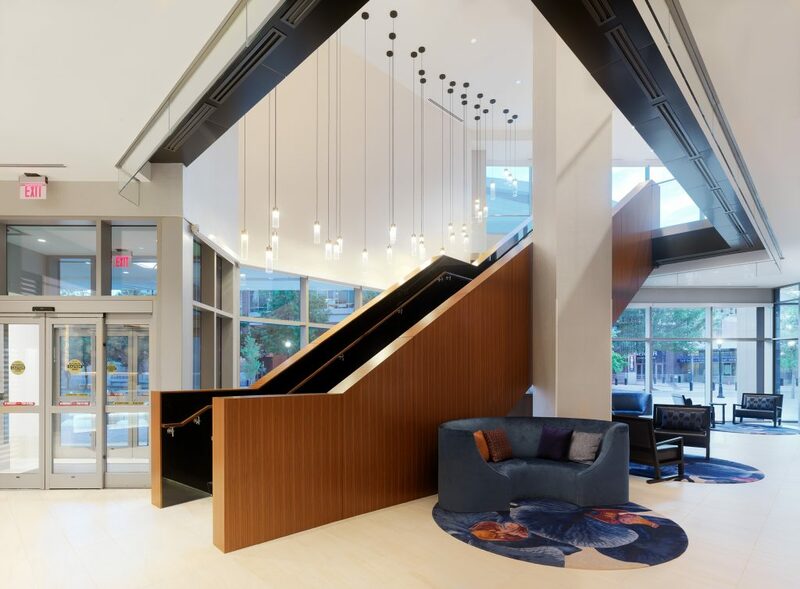 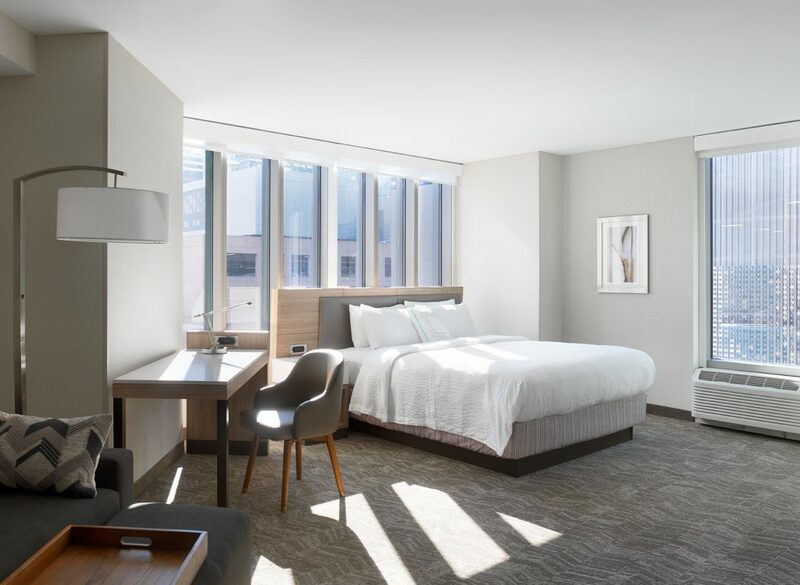 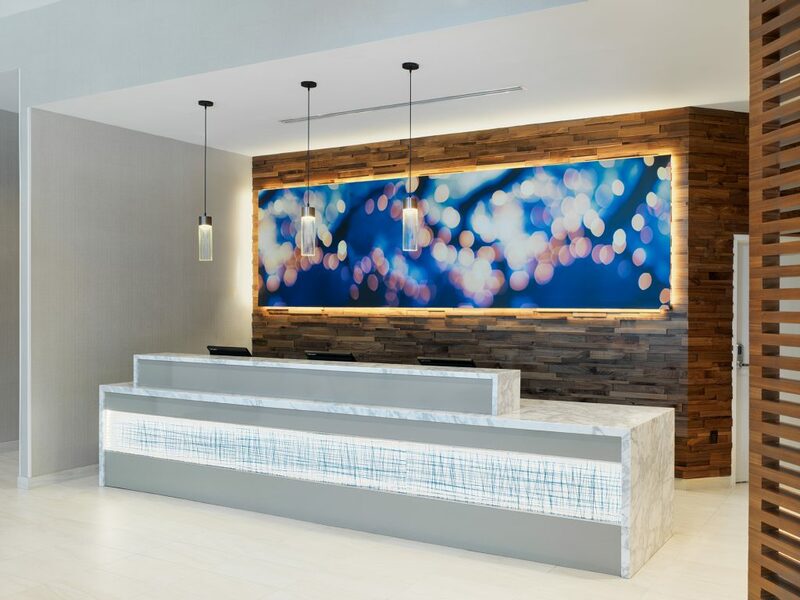 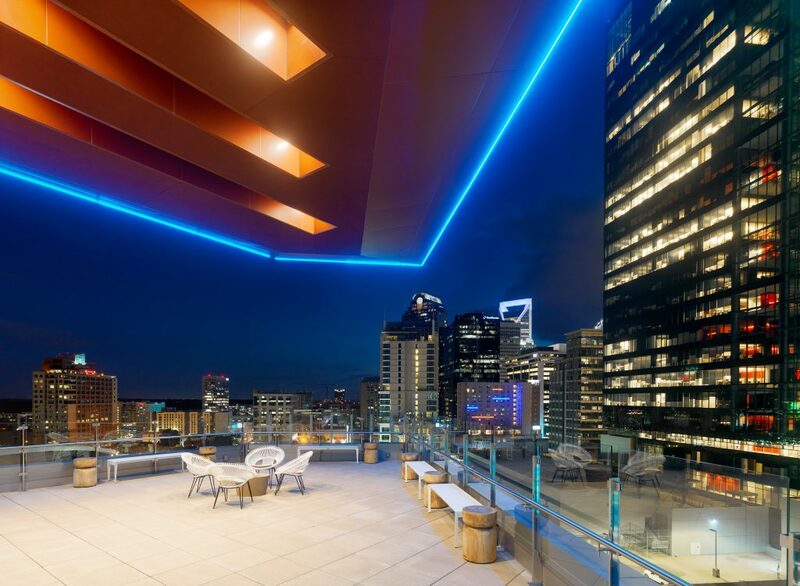 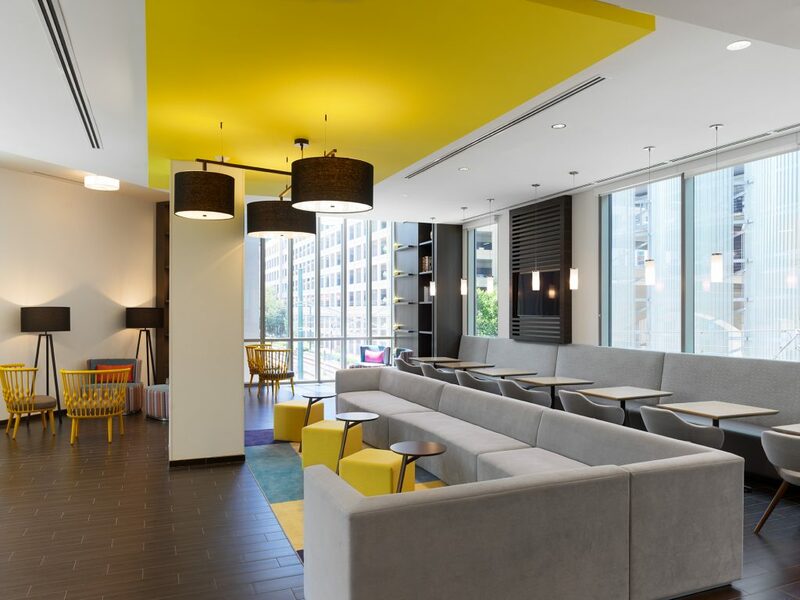 Sitting across from the Charlotte Hornets Spectrum Center, and in the heart of the uptown Charlotte, this 16-story, 195 all-suite hotel was given a chic vibrant new look which included upgrading their rooftop outdoor patio, upgrading to flexible meeting rooms, and a spacious first floor retail space. 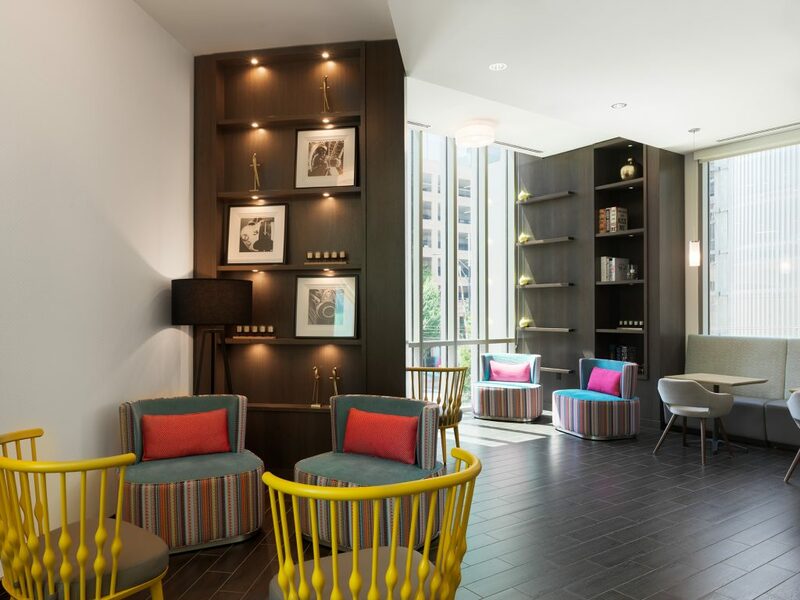 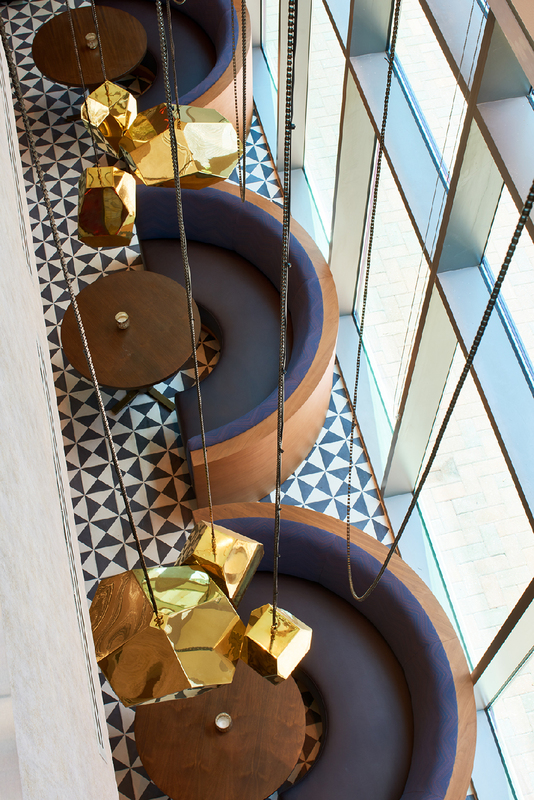 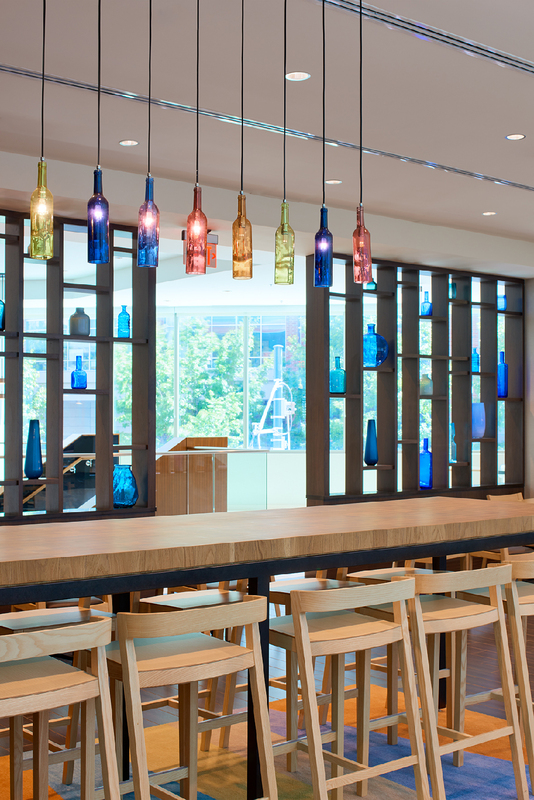 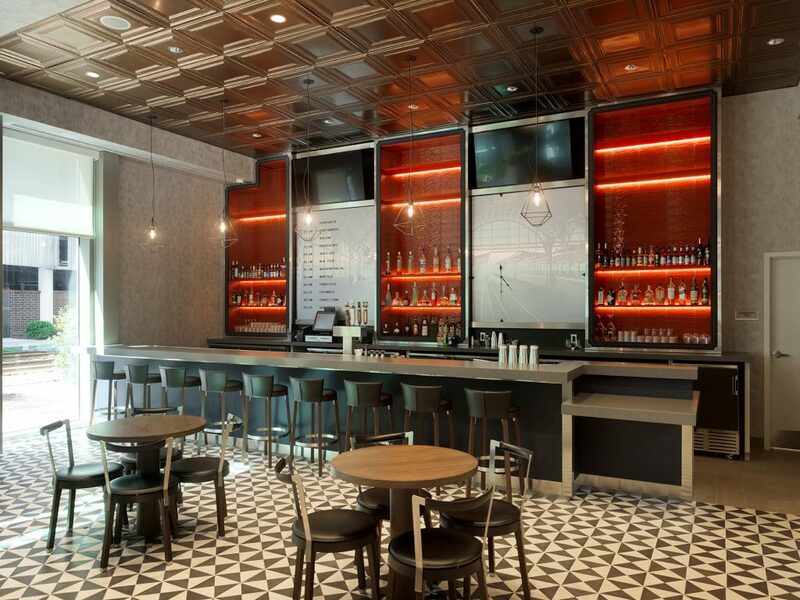 This space has all a traveler needs to stay refreshed yet central to all that Charlotte has to offer.